Hello there, Mama! If you’re reading this, we assume you’ve done your business on the stick and gulped, “Holy cow. I’M HAVING A FREAKIN’ BABY!” Or perhaps you’re just somebody who likes to read up on the stages of pregnancy and throw around fancy words like “embryonic period.” Either way, congrats! You’ve come to the right place. 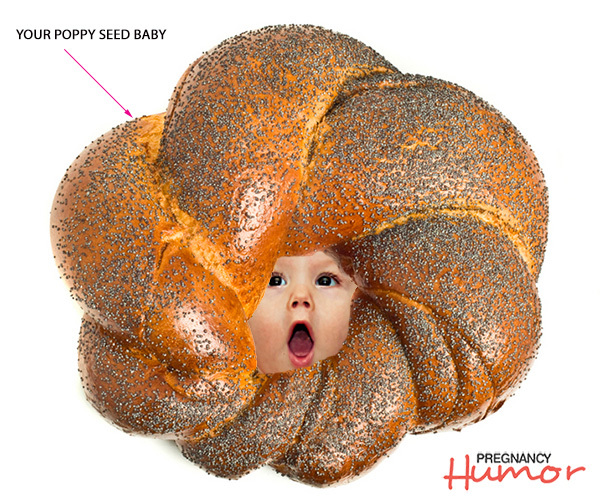 Having just found out you’re pregnant, you probably have a million questions, the most pressing one being: What kind of vegetable or fruit does my baby currently resemble? A very important matter, indeed. At the moment, you should know you are carrying the equivalent of an opium plant seed. Awwww. 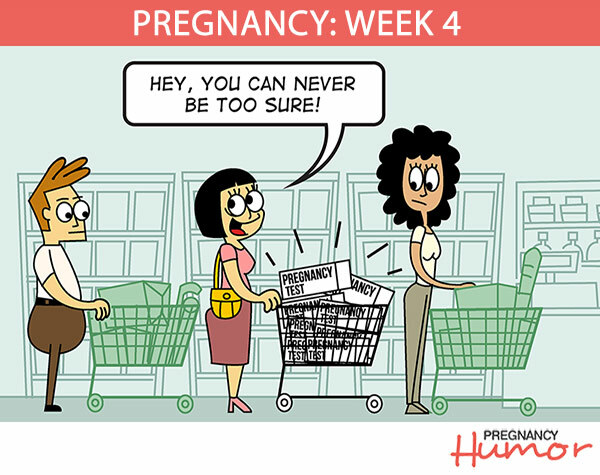 Are there any other perks that come with pregnancy besides the whole adorable baby thing? 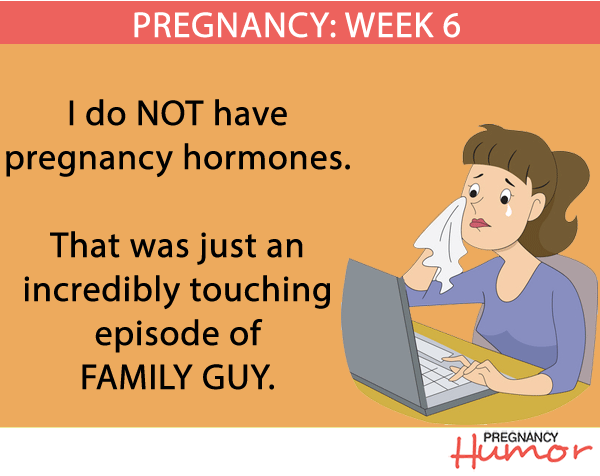 What should I say when my husband exclaims “WE’RE pregnant!”? How do I get Pregnancy B-I-N-G-O?! 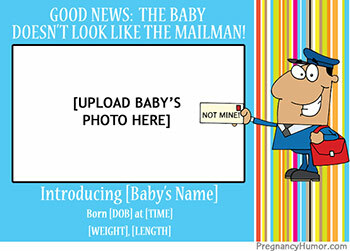 Where can I get a super cool and hilarious pregnancy calendar to hang on my wall that will make all of my friends and family ask, “Hey, where did you get that super cool and hilarious pregnancy calendar?!”? If you read these newsletters to your baby every week while playing Mozart in the background, she will likely become a genius. Either that, or a bad comedian with classy taste in music. Either/or. FEMALE PATIENT: Am I more likely to get pregnant if my husband wears boxers or briefs? DOCTOR: You’ll have an even better chance if he wears nothing at all. 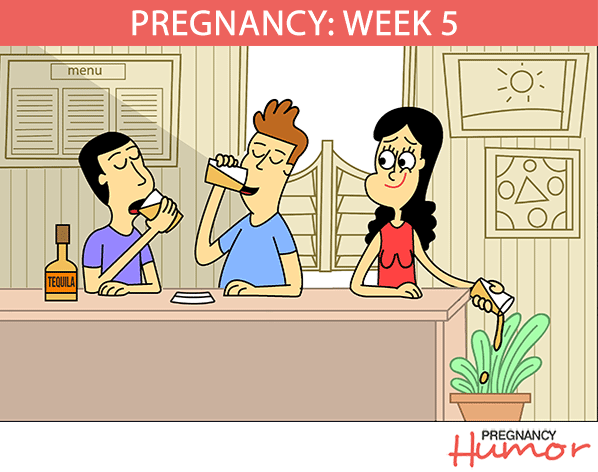 More totally cheesy pregnancy jokes to come. We’ll be here all nine months. Be sure to tip your waitress!